Trio of friends on the street in Harajuku wearing dark styles featuring items from several popular Japanese subculture fashion brands. Harajuku personality Ranochan on the street sporting a pink and black ensemble including a kimono and platform boots. Harajuku duo sporting monochrome street styles while out and about on the street. Harajuku girls decked out on all black ensembles while out and about on the street one afternoon. Harajuku beauty school student sporting a pleated skirt, heeled tassel loafers, and blue hair. 16-year-old Japanese student in head-to-toe black while out in Harajuku. 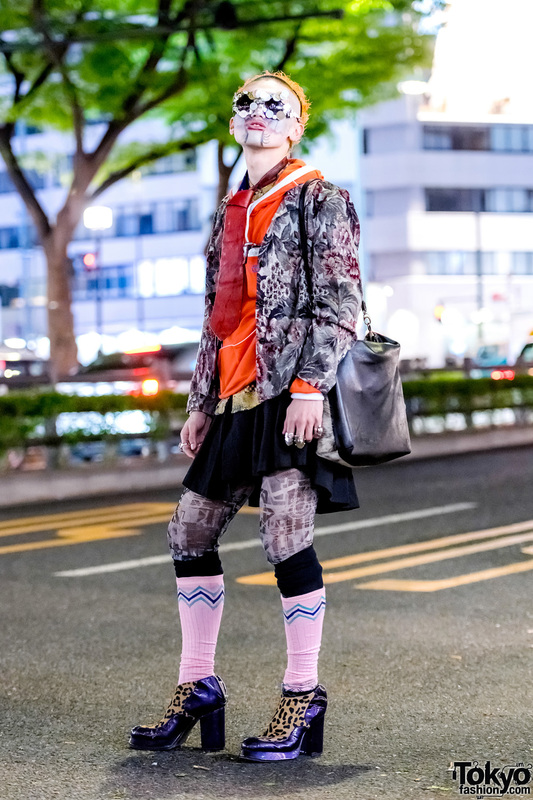 Graphic designer on the streets of Harajuku showcasing an avant-garde street style early one evening. Japanese duo showcasing all-black street fashion in Harajuku. 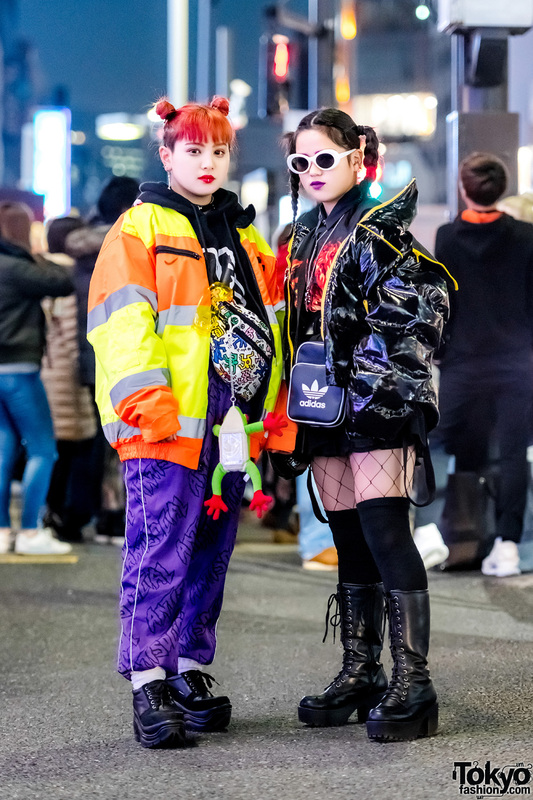 Harajuku sisters sporting cool streetwear styles while out and about at night.